Blackmore’s Night is a legendary band that blends together the most modern contemporary rock with the rhythms and feel of a Renaissance Faire. I fell in love with them the first time I heard their unique flavor of music and I have to say this latest installment in their catalog of albums is another five star piece of awesome. From well-known and loved cover songs to original ballads and instrumental pieces that will curl your toes; this album is lush with visual imagery that blurs the line of fairy tale and reality. 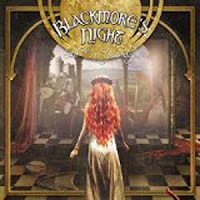 Blackmore’s Night is comprised of Ritchie Blackmore (guitarist and songwriter), Candice Night (vocals, lyricist), Bard David of Larchmont (keyboards, piano, organ, harpsichord, accordion and pipe organ), Lady Kelly DeWinter (voice, piano, French Horn, and various other musical instruments), Troubador of Aberdeen (percussion), Scarlet Fiddler (violin) and Earl Grey of Chimay (bass, mandolin, guitar). All Our Yesterdays is their newest album and focuses heavily on medieval rhythms. “Allan Yn N Fan” is the second track on the album and is very Celtic in nature. Just listening to this vibrant composition, I felt like I was walking between the colorful tents of a Renfest, just waiting to catch a glimpse of a maiden fair or a knight in shining armor-but wait! An electric guitar amidst the eclectic jamboree. This piece is exactly why I adore this band. Even without the vocals, it shows the dedication each performer holds for their art. The music is full to bursting with love, life and a never ending search for that special zing that makes you beg for more. “Queen’s Lament” is an eloquently played piece you will want to savor with your eyes closed. A fine lady walks along, her heart in turmoil by a nameless worry. The strumming guitar simple in its majesty, a hint of ethereal sound in the background to illuminate the piece, like a great pearl in a setting of gold. This composition is a ghost story of a sort and will linger in your mind long after the last note ceases. It is deceptively simple but unyieldingly complex all at once. 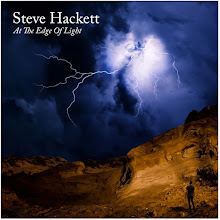 Blackmore’s Night has a catalog of albums but I find their newest to be their most impressive of all. All Our Yesterdays takes the finest of old and new and whips it together for a sugared concoction of medieval might and ethereal wanderings. From cover songs that ring familiar-but with a new flair you won’t be able to resist, the vocals of the angelic Candice to the instrumental antics of a band who can tempt even a writer with deadlines to listen just a little longer, this album is a must have. Take a break from your life and find a moment to spare for these bards. If you listen closely, you might hear the rustle of a fine lady’s gown and the clang of a jousting match in the background. Bring on the magic!